I cannot say enough wonderful things about Erin and Nick's big day! Erin and Nick are fellow wedding vendors. Nick's family owns and operates Lost Hill Lake Events in St. Claire, so I knew their wedding was going to be off the charts awesome. Their ceremony was held at near the lake at LHLE, and they had the reception in the walnut grove, which is so incredibly gorgeous. And did I mention their wedding was on Halloween?? Their colors were black purple and orange, and their hash tag was #erinandnicksayiboo. Erin and Nick are animal lovers. Their pups were invited to all festivities, and their tables were marked by animals. All in all. Their wedding was remarkable and heartfelt, and I am so honored to be a part of their big day. Thank you for visiting Erin Stubblefield Weddings and Portraiture's blog. 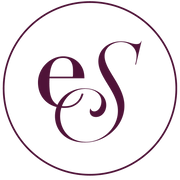 ESWP is an award-winning photography studio, based in St. Louis Missouri, owned and operated by seasoned photojournalist Erin Stubblefield Sexauer. Enjoy Erin and Nick's Lost Hill Lake Events wedding, and feel free to browse other Missouri weddings photographed and curated by ESWP. To inquire about booking with St. Louis photographer, Erin Stubblefield Sexauer, please use the email form under the ABOUT or INVESTMENT tab.